China and the United States have agreed to set up enforcement offices to monitor implementation of trade pledges, making a breakthrough that paves the way for ending their tariff war. 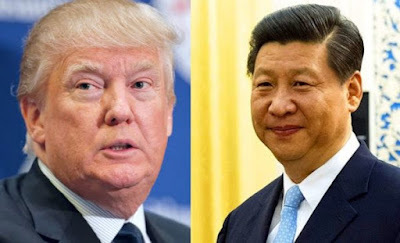 The enforcement mechanism and the establishment of the offices have been key hurdles to an accord between the two nations, with China concerned that checks on its policies by US officials would be an infringement of sovereignty. But the agreement will also allow China to monitor US behaviour, a reciprocal concession which analysts said showed determination from both sides to reach a trade deal. US Treasury Secretary Steven Mnuchin said he had a “productive” phone conversation with Chinese Vice-Premier Liu He on Tuesday night, with another conversation planned for Thursday. We’ve pretty much agreed on an enforcement mechanism; we’ve agreed that both sides will establish enforcement offices that will deal with the ongoing matters,” Mnuchin told CNBC on Thursday, adding that there were still important issues to be addressed. “We are really focused on the execution of the documents,” he said.